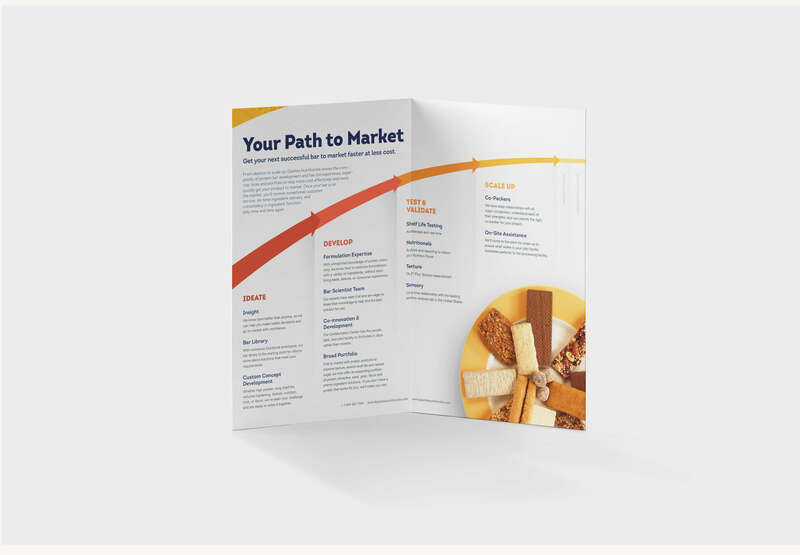 Glanbia Nutritionals makes food ingredients—things that go in things that are on just about every grocery store shelf. But like a box of cereal in a crowded aisle, they needed help standing out. 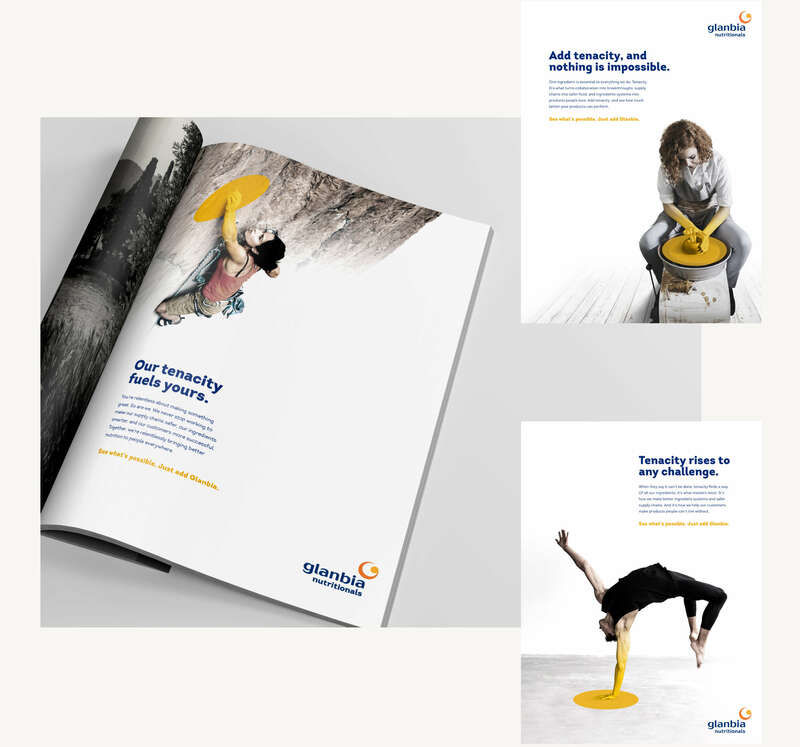 We took their most compelling personality trait and combined it with the little yellow circle that's been in their logo forever to create an identity that positions Glanbia as the industry’s most relentless innovator. 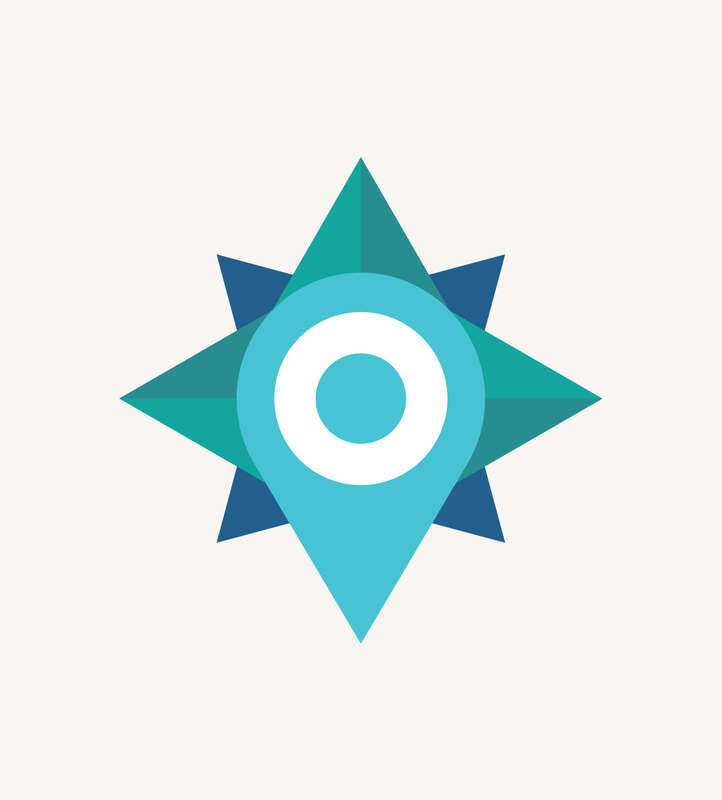 We launched the new identity with the Greatness Takes Tenacity campaign. 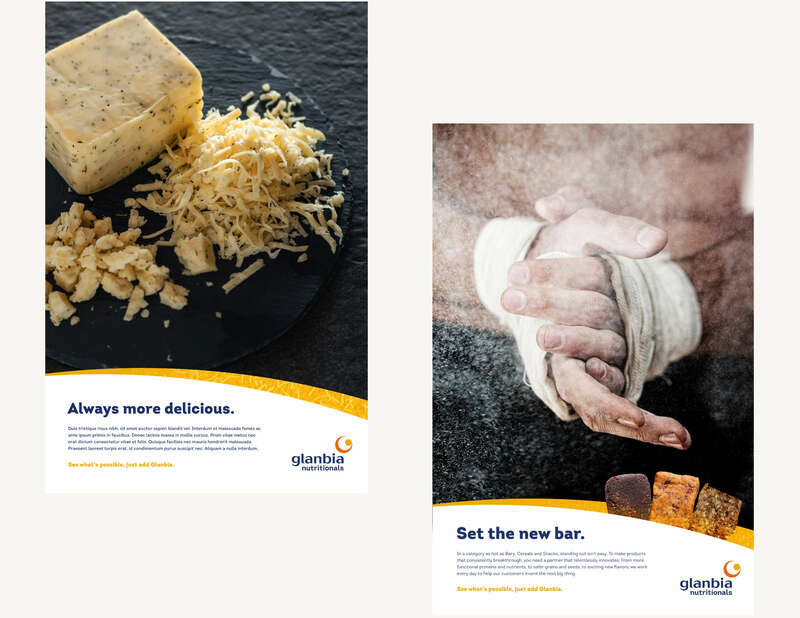 As part of the new identity, we created a communication system for Glanbia’s three messaging levels: Brand, Category and Solution. 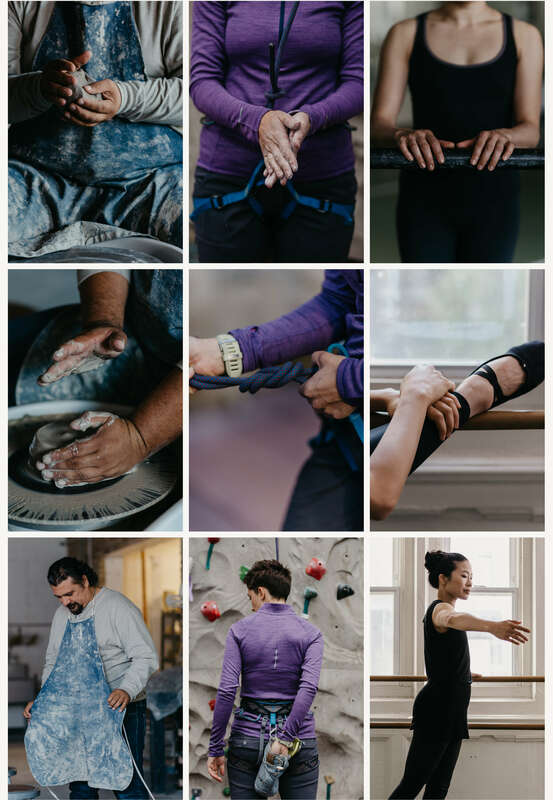 At the Brand level, gritty images of consumers pursuing a goal express an ideal shared by Glanbia and their customers. 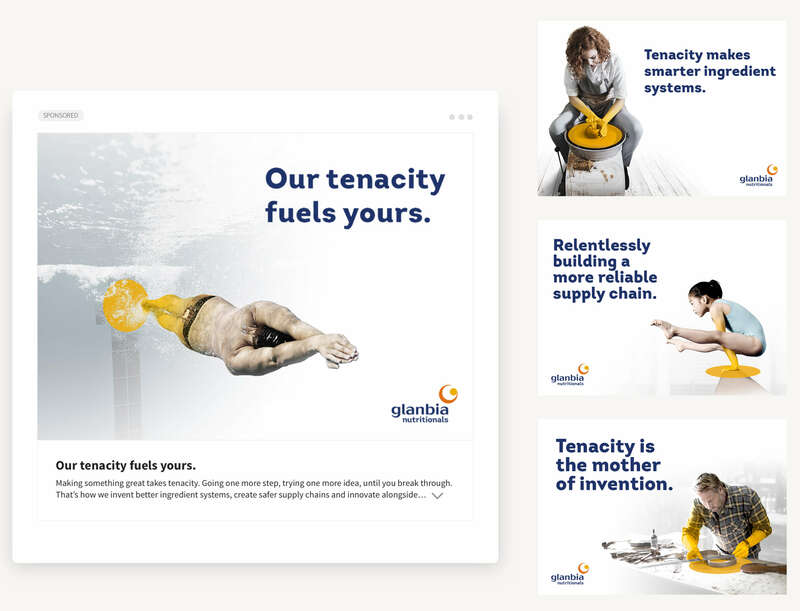 The yellow “gleam” represents the inspirational effect of Glanbia’s tenacity—the transfer of energy from brand to customer. Banner ads and social media push people to a landing page where an anthem video tells the Greatness Takes Tenacity campaign story. 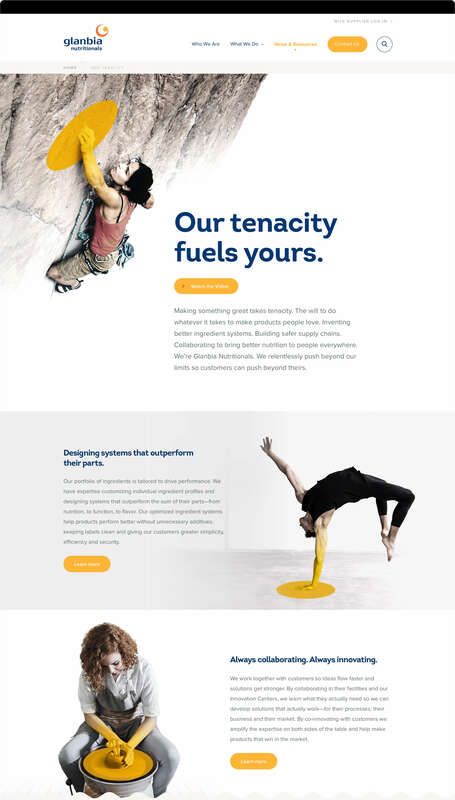 The page also communicates Glanbia’s core differentiators and ties them back to the power of tenacity. 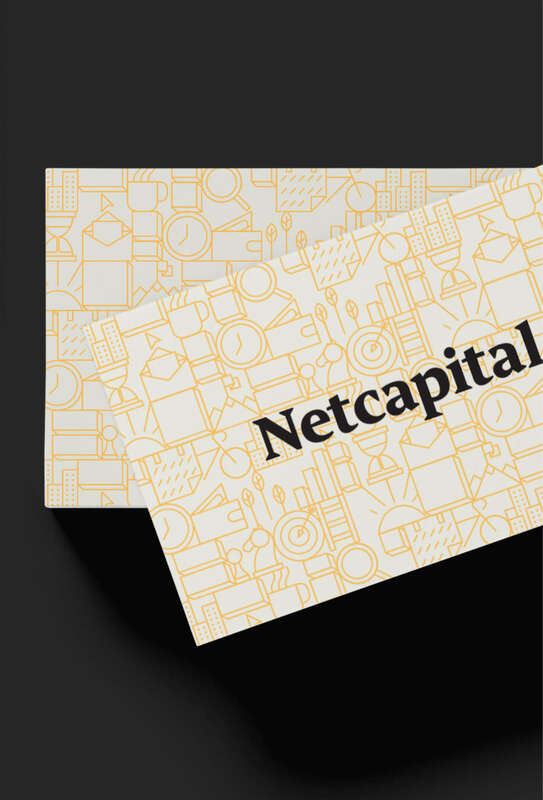 We implemented the new branding across a range of collateral, from flyers and sell sheets, to brochures and white papers. 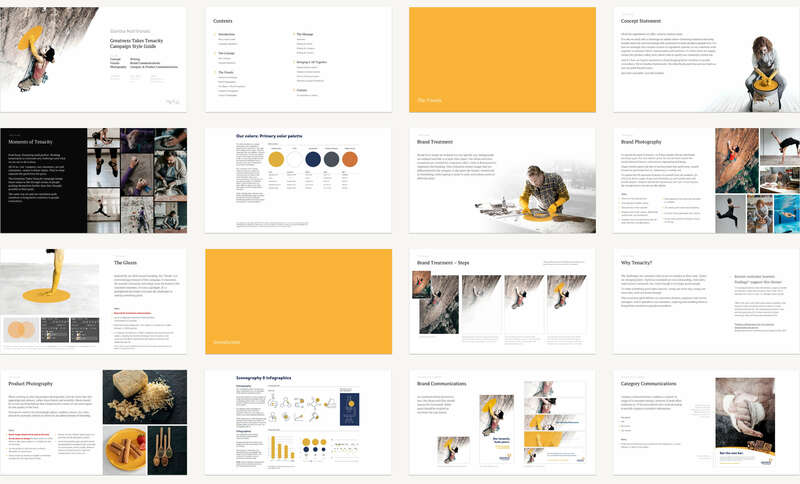 We created a style guide that defines the usage rules of the identity system to keep it consistent across regions and lines of business.